Currently Music Director and Conductor of Altoona Symphony Orchestra in Pennsylvania, TERESA CHEUNG is in frequent demand for symphonic, choral and operatic productions in the USA and Canada. A native of Hong Kong living in New York City, Cheung received her Master’s Degree in Conducting from Eastman School of Music and is a recipient of the JoAnn Falletta Conducting Award for the most promising female conductors. Cheung was Resident Conductor for the American Symphony Orchestra from 2004 to 2012, Assistant Conductor for Bard Music Festival for eight seasons and Resident Conductor for Evansville Philharmonic Orchestra. She has collaborated with orchestras including Amarillo Symphony, New Amsterdam Symphony Orchestra, The Phoenix Symphony, Portland Symphony Orchestra, Regina Opera, Stamford Symphony, West Michigan Symphony Orchestra and Woodstock Chamber Orchestra. She also appears as conductor for colleges and universities, and has served as a conducting clinician for Lincoln Center’s “Meet the Artist” program. 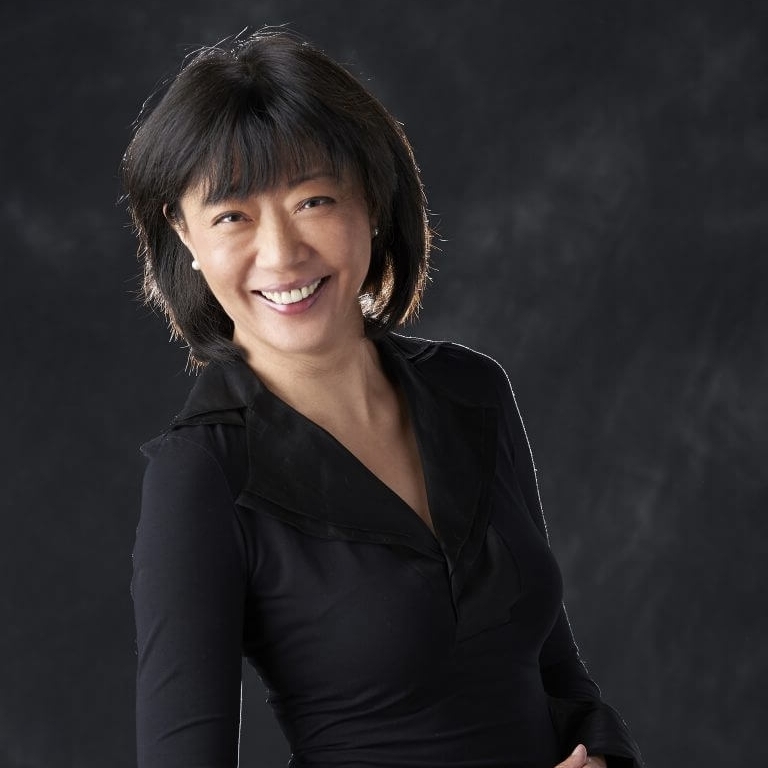 Teresa Cheung devoted impressive energy and choreographic skill to leading the massive ensemble through highly disciplined performances of three monuments of the symphony literature: Weber’s Overture to Oberon, Dvorak’s Cello Concerto and Tchaikovsky’s Symphony No. 5. These were thrilling renditions, surging with high-octane energy and tonal beauty, particularly in the sound of the strings, backed up by sturdy and rhythmic support from the winds. As the kickoff to a season devoted to performances by candidates for the coveted mission of leading an ambitious orchestra to a new level, this concert was a thrilling and optimistic event. Cheung drew a magnificent performance of Dvorak’s Serenade in d minor for Winds. From the first movement’s elegant march, contrasting with the lyrical ornamented second motif, lovely melodies propelled the work in a beautiful performance. Dynamics and intonation were perfect and the ensemble sounded rich, with individual voices clear in the beautiful third movement, at times delicate or bold, always musical. Known for her creative concert programming, collaborative projects and outreach programs, Cheung is a passionate advocate for music education for all ages. Since the beginning of her tenure with Altoona Symphony, she has created numerous programs that engaged children, high-school musicians and choristers. The orchestra also performed in numerous occasions with university ensembles, and has collaborated with Karl Middleman (Commonwealth Speaker for the Pennsylvania Humanities Council) in “Dvořák’s New World”, a program of Humanities on the Road which was broadcast throughout the state of Pennsylvania in 2011. Apart from orchestral performances, Cheung recently made her conducting début with New York City Ballet. While at the Bard, she was rehearsal/offstage conductor for a number of rarely-performed operatic masterworks, including the highly-acclaimed US première of Franz Schreker’s Der Ferne Klang in 2010, the first fully-staged production of Schumann’s Genoveva in the USA in 2006, and Marc Blitzstein’s Regina in 2004.